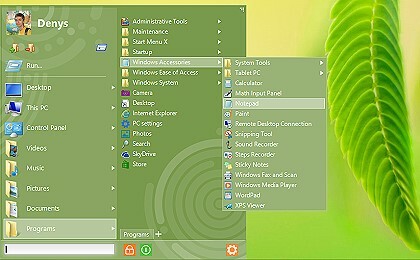 SE-TrayMenu is the first application launcher with Windows 8 support. It's great replacement of Start menu for Metro Interface in Windows 8. You can add various elements to your Windows system tray - programs, documents, folders, Internet links and set up shortcut keys to access elements. You can drag'n'drop elements or add frequently used applications and installed programs. Portable version w/o installation is available too. 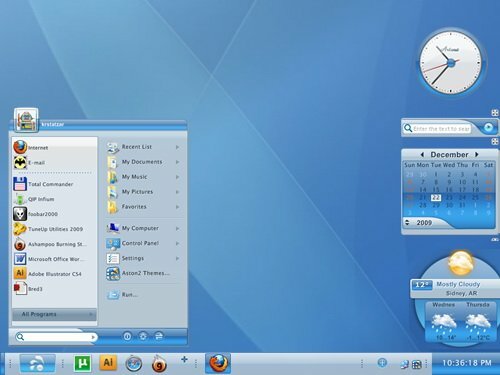 Aston2 Secure Desktop is the security build of Aston2 branch. Aston2 SD provides all the functions of the newest versions of regular Aston2 shell and supplies administrative control of your computer. With the help of Aston2 SD administrator can deny user access to the control panel, screen properties, lock local, network or removable disks, prohibit registry editing, applications installing-uninstalling and enjoy other administrative functions. eXtra Buttons helps to organize your workarea and improve your productivity. It adds a couple of features to the title bar or the system menu of the windows: Always on top, Send to back, Copy window, Roll-up/Unroll, Minimize to Box, Transparency, Minimize to Tray, Move to another monitor, Bookmark application or folder, Click through mode, Full screen. WorkShelf is part of Winstep Xtreme. Winstep Xtreme is a powerful suite of User Interface replacements that merge incredible usability and performance with breathtaking eye candy! Winstep Xtreme includes NeXuS, the dock system, WorkShelf, a tabbed dock, NextSTART, the menu system that also takes care of all your task management needs, and modules such as a speaking Atomic Clock, Email Checker, Weather Monitor, CPU, Net and RAM Meters, and more!